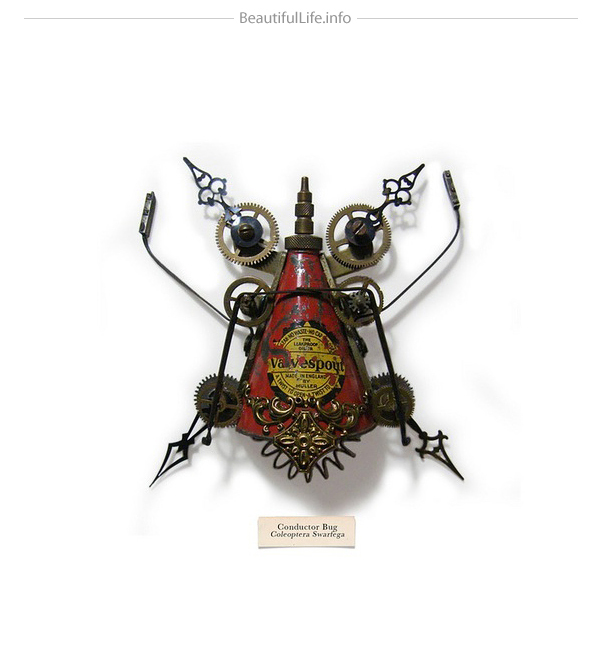 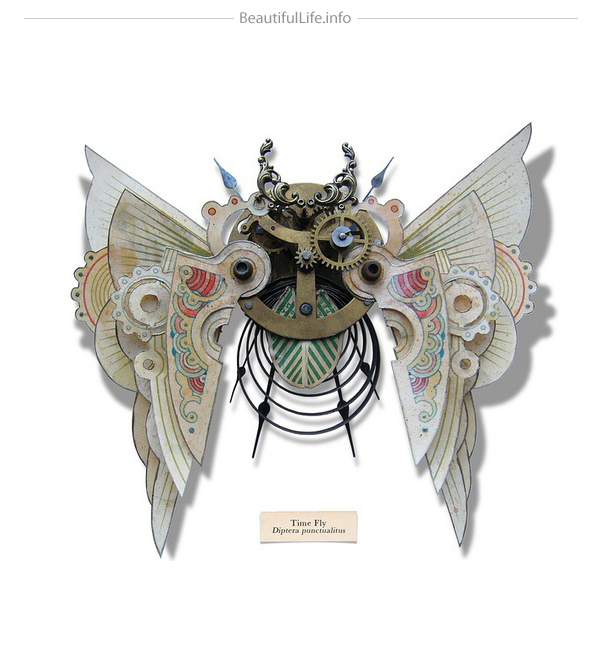 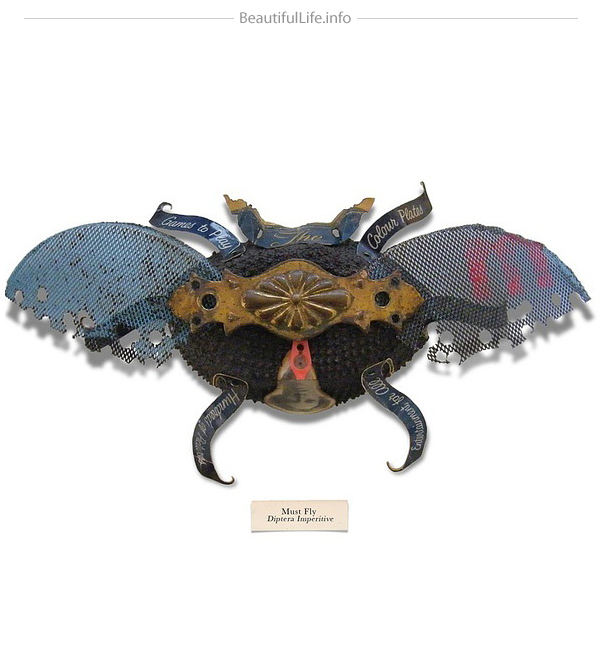 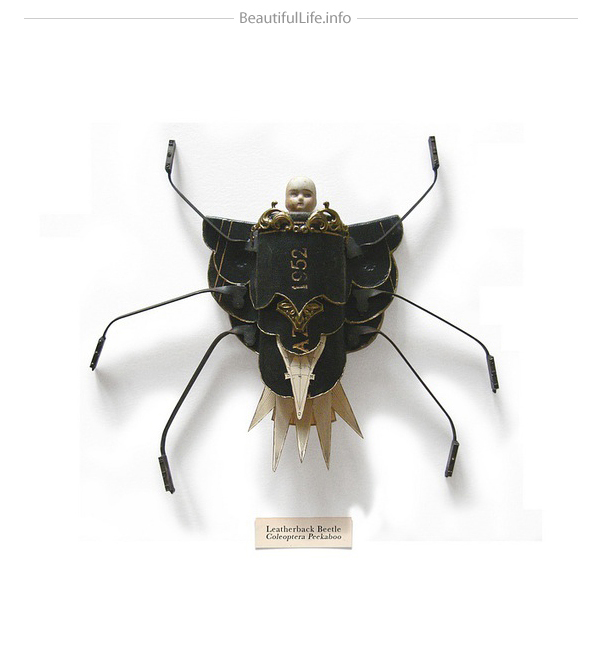 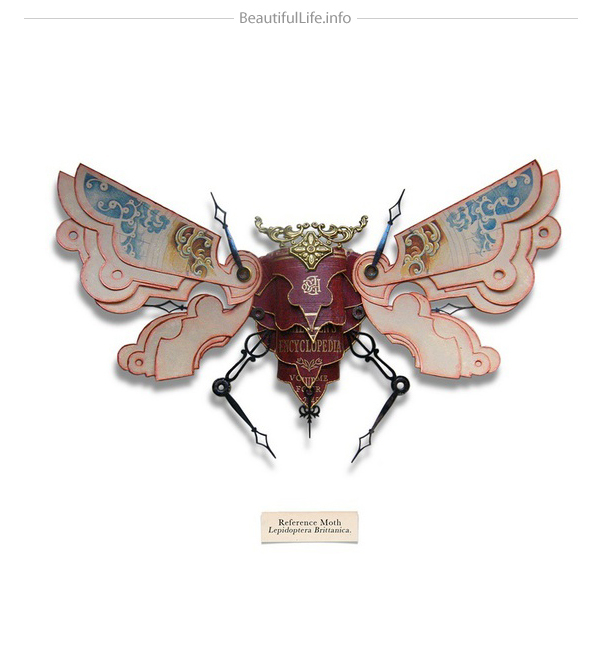 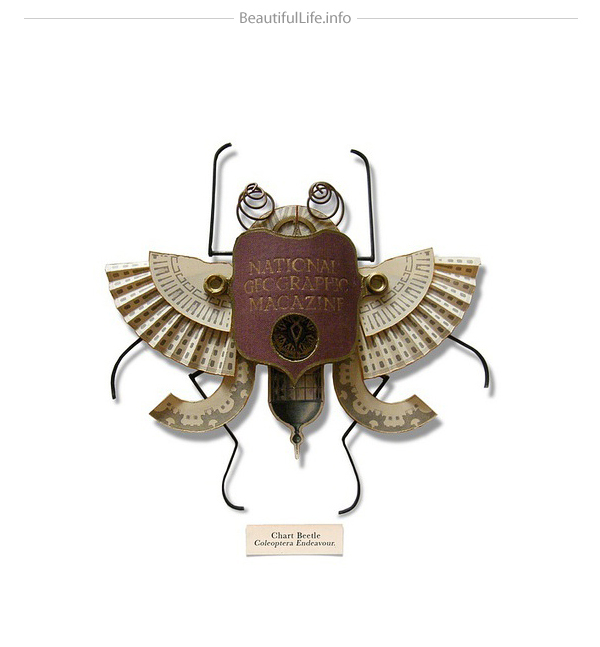 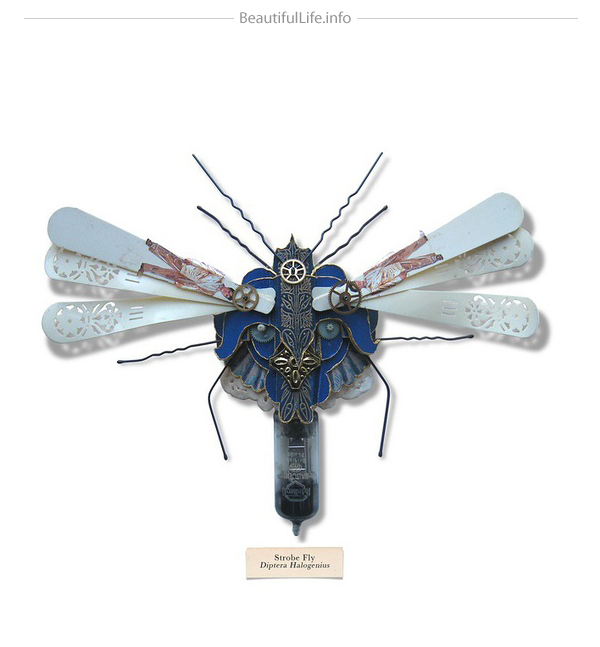 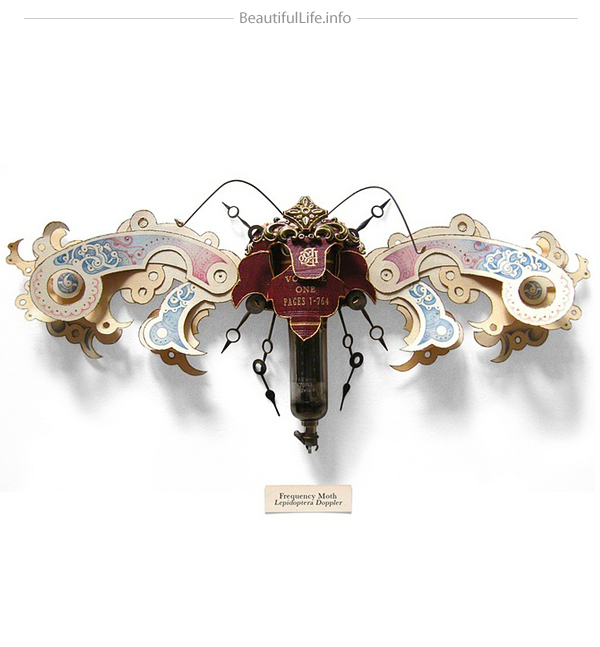 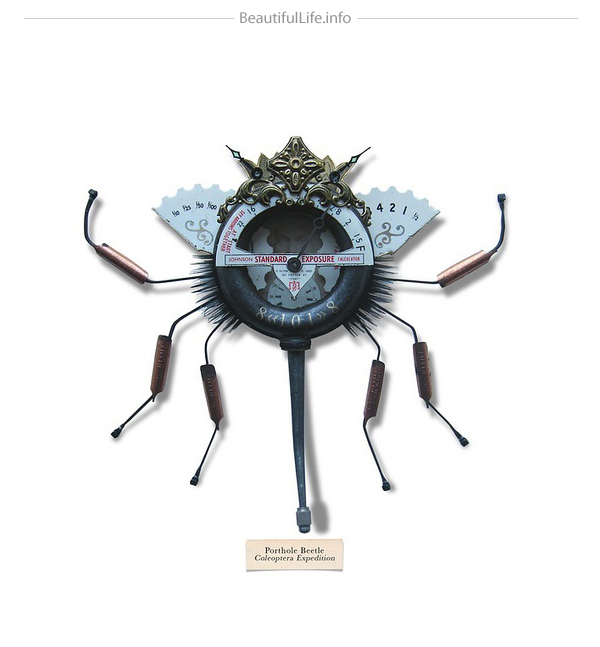 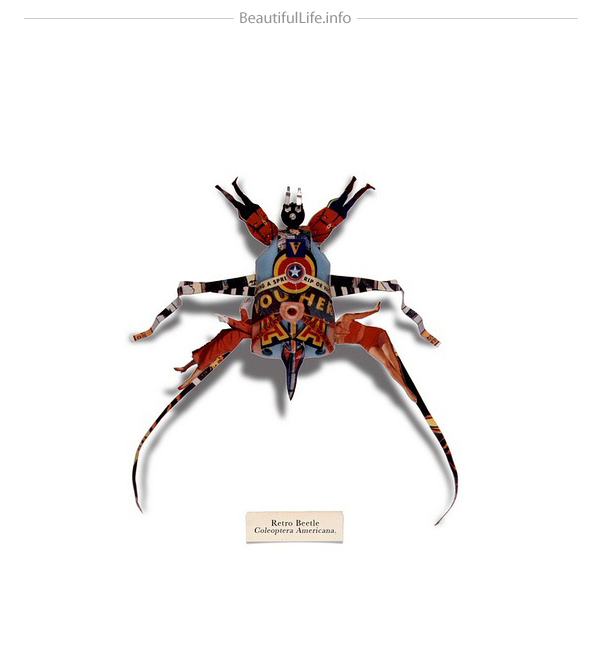 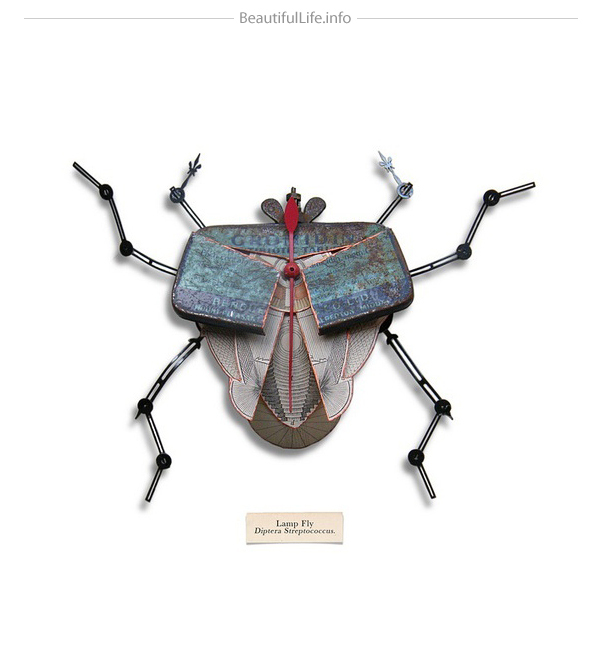 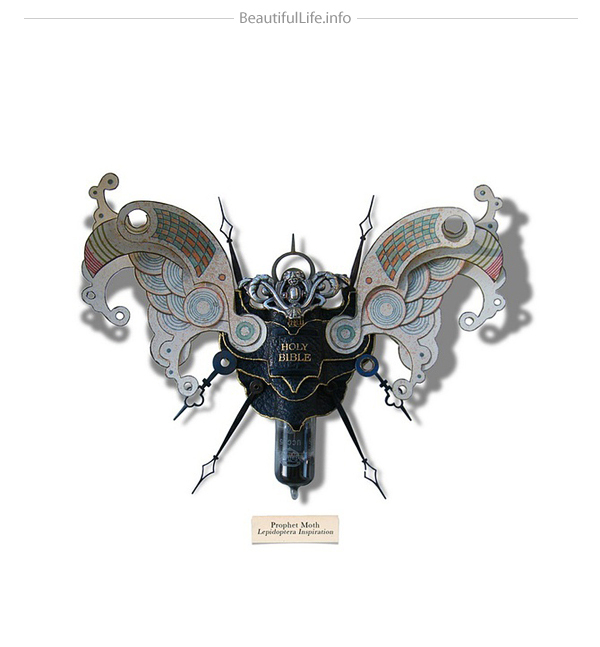 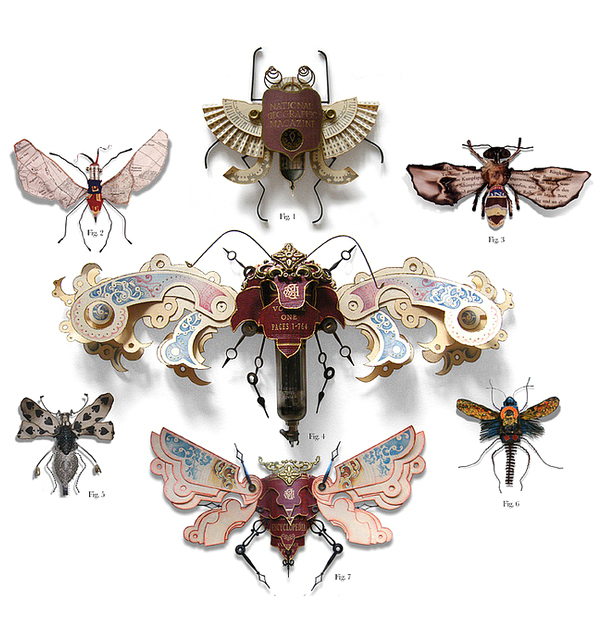 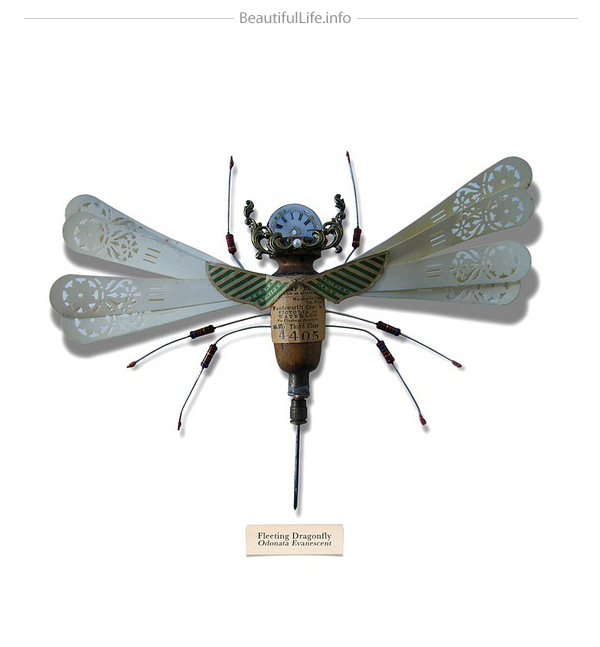 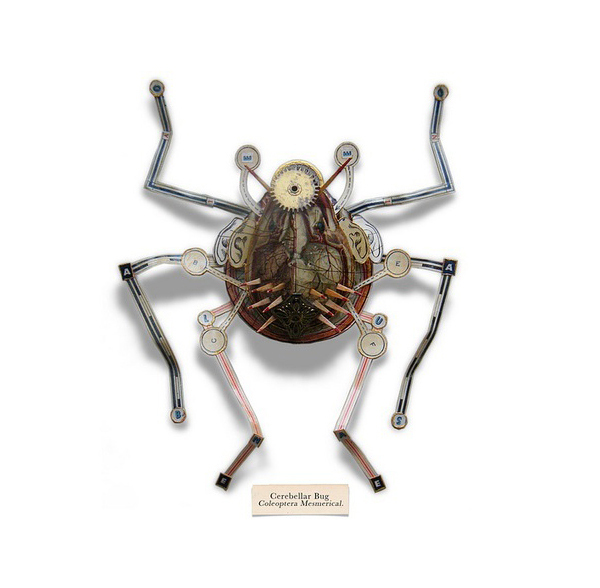 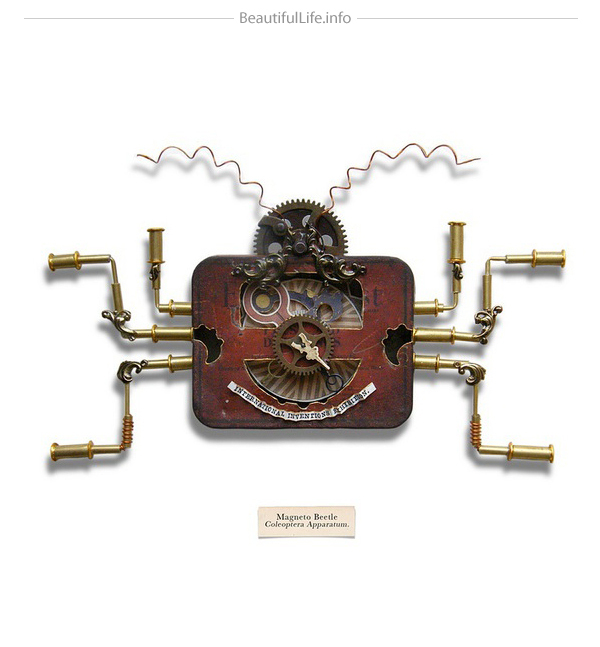 British artist Mark Oliver has created a series of insects called “LitterBugs” brought to life entirely from trash. 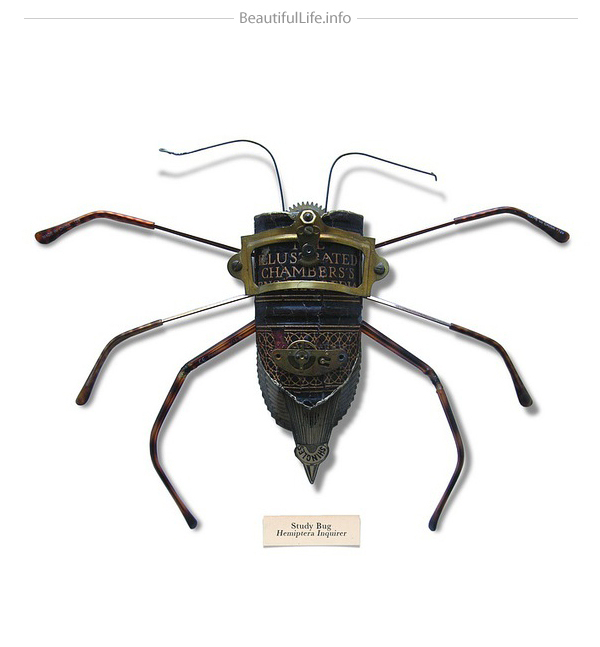 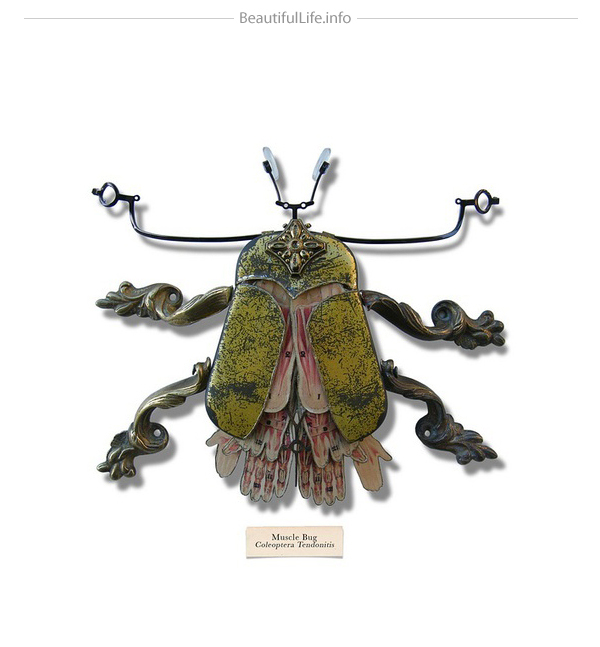 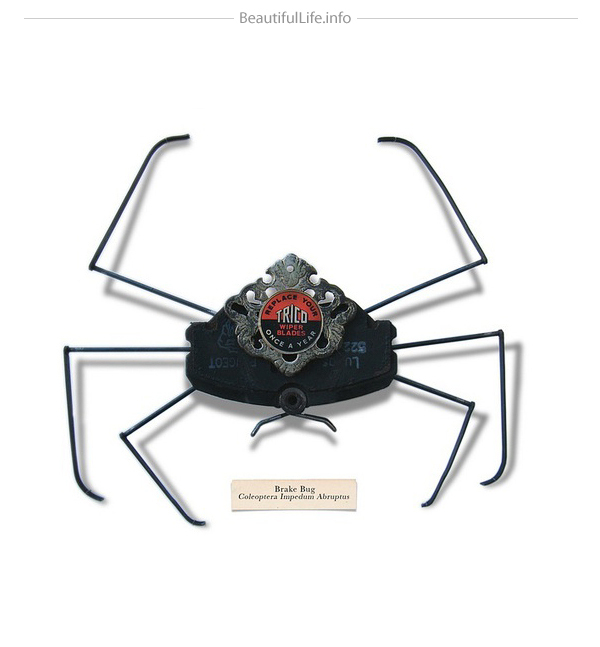 Using eyeglass-arms for antennae and clock hands for legs, the species was developed in order to adapt to the harsh and changing urban landscape. 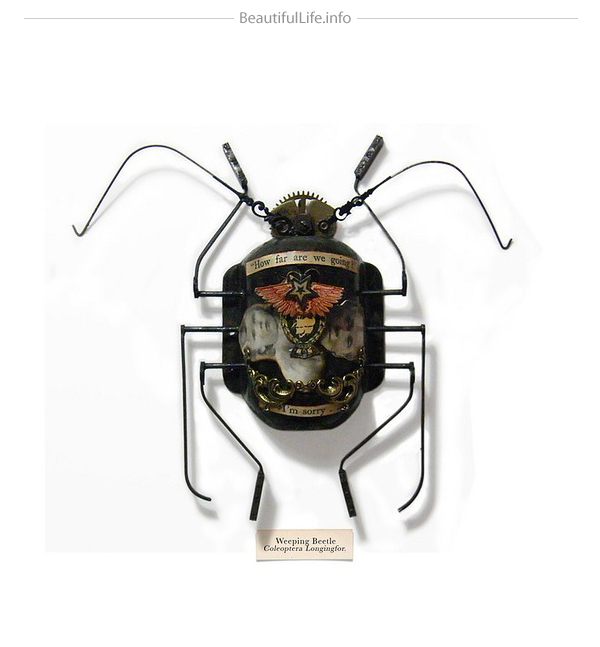 The creatures are part of an invented genus, affectionately categorized in a document known as the “compendium of carabid and terrestrial detritus” – each one having been given their own title and scientific name, some based off the found objects they are built from.